2014 California Touring!!! I love this BIKE!!! Join us for the 17th annual Broken Arrow Rendezvous motorcycle camp out in beautiful Gibbonsville, Idaho. The Broken Arrow Campground is located just south of the Montana border, 33 miles north of Salmon, Idaho on U.S. Highway 93. Tent sites and cabins are available for a small fee. 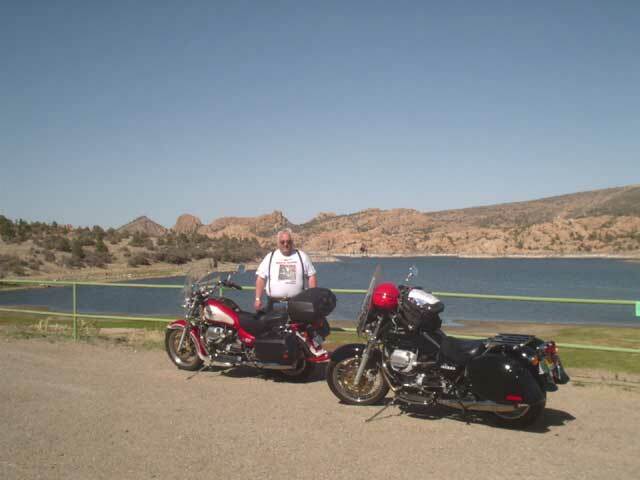 Day rides will take place, including historic Shoup, Big Hole National Battlefield, Chief Joseph Pass, Lost Trail Pass, Lost Trail Hot Springs, Jackson Hot Springs and Salmon. A fine Mexican restaurant is located on premises. For cabin reservations call: Rosemarie at 360-522-0541 All motorcycles are welcome. For more information, please see rally ad in the MGNOC newsletter or contact: Steve Ford at 360-721-1310. Sent info to Frank, Info is in the Rally's and events. Rally Add should be up soon. Looking forward to another great BAR!!! Still without a Guzzi, but I'm planning on coming up again this year on my Bandit 1250. We will be there. I also plan on bringing my propane campfire so we can have a fire.........even while there is a burn ban. Can't wait to have more of Rosemarie's wonderful Mexican food and awesome pies.